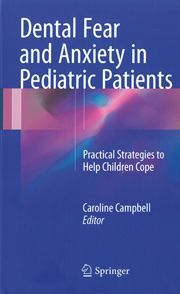 Dental Fear and Anxiety in Pediatric Patients: Practical Strategies to Help Children Cope by Caroline Campbell (Editor) (2017). – This excellent book provides practical strategies to help children cope. Any of the principles can also be adapted for use with adults. Treating Fearful Dental Patients – A patient management handbook (1995) – Some parts of this book, which was written by the team of the now-defunct Dental Fears Research Clinic in Seattle, may seem a little outdated by today’s standards, but it contains lots of practical tips (if you can lay your hands on a copy that is – they’re in short supply!). Dentistry Uncensored with Mike Gow: this interview covers tips for helping nervous patients, painless injections, a discussion of the Wand and similar devices, sedation, and hypnosis. Cognitive Behavioral Therapy with Alex Keir, Eileen Johnston, and Rhona Hutchison: Dental Nurse Alex Keir, Dr. Eileen Johnston, and Dental Nurse Rhona Hutchison discuss treating dental anxiety with CBT. Conscious sedation – the only tool in the box? (2008) – Stephen Woolley looks at some underlying assumptions made about the management of dental phobia and the ramifications of sedation as being the preferred method employed with anxious patients. Acclimatising Child Patients (BDJ, 2013): A collection of tips by Murray Hawkins, some of which can also work well with adult patients. The Use of Positive Language in Dentistry (PDF file) – Mike Gow describes how to use positive language and suggestion in your practice, and also provides an example of a positively framed patient leaflet following tooth removal. The inter-personal work of dental conscious sedation: a qualitative analysis (2017) – Stephen Woolley discusses data regarding the inter-personal work integral to effective conscious sedation provision. Successful Local Anaesthesia for Restorative Dentistry and Endodontics by Al Reader, John Nusstein and Melissa Drum (2012). This book will help you successfully anaesthetize your patients using the newest technology and drugs available. It presents the rationale, advantages, and limitations of the various anaesthetic agents and routes of administration. A special emphasis is placed on supplemental anaesthetic techniques. Keeping an Open Mind (PDF file): Mike Gow explains some of the ways hypnotherapy can be used in day-to-day practice. Please Handle Me With Care Dental Patient Form: This patient form was developed by people with dental anxieties. It is designed to identify specific fears. Also useful for practice websites, so patients can complete the form prior to their appointment. “How do we measure dental fear and what are we measuring anyway?” by Jason M. Armfield (2010). A review and critique of dental anxiety indices. Supporting People with Dental Anxiety: A free course on supporting people with dental anxiety. Four courses are available, aimed at teenagers, parents or dental practitioners. You need to register to access the course. To suggest a resource for inclusion on this page, please contact us.